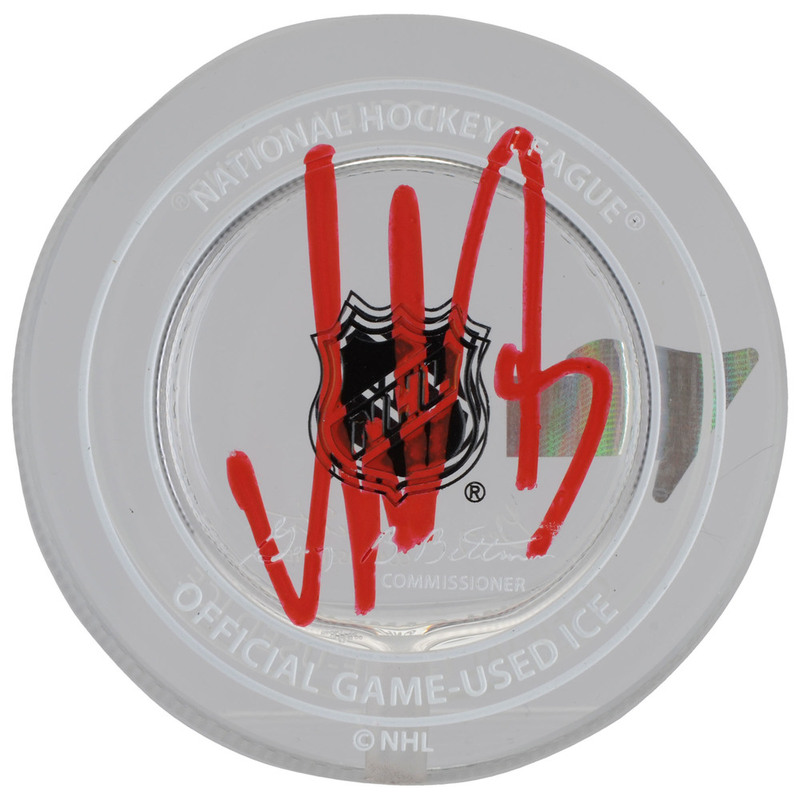 Commemorate the Washington Capitals as the 2018 Stanley Cup Champions with this crystal puck that has been personally hand-signed by Alex Ovechkin. Each puck comes filled with melted game-used ice from the Stanley Cup Finals and shipped in a Fanatics Authentic gift box. 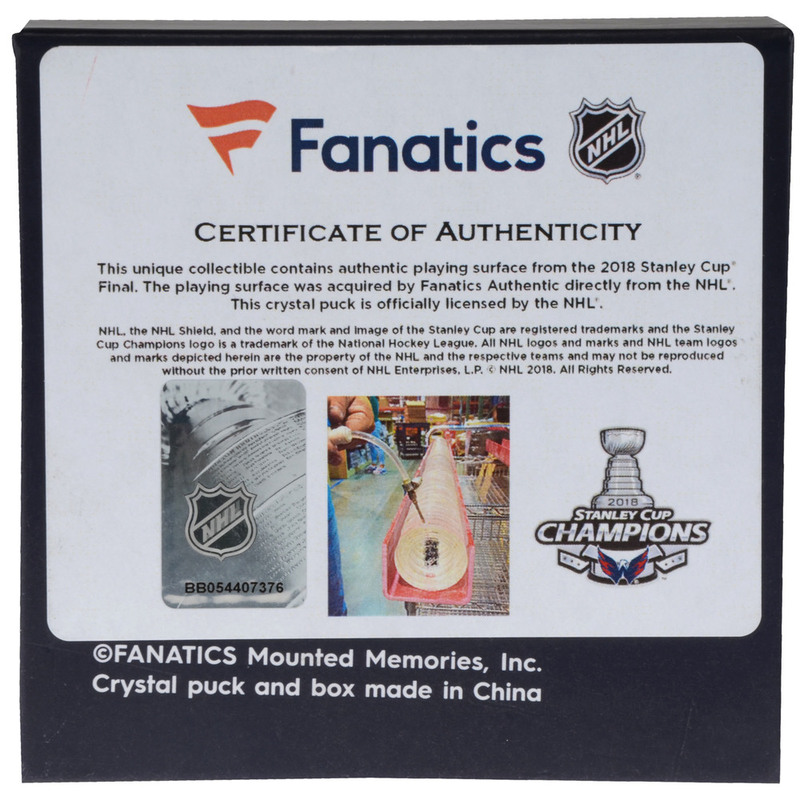 It is officially licensed by the National Hockey League and comes with an individually numbered, tamper-evident hologram and a certificate of authenticity from Fanatics Authentic. To ensure authenticity, the hologram can be reviewed online. This process helps to ensure that the product purchased is authentic and eliminates any possibility of duplication or fraud.